#YouStink: A story of garbage, youth and cruel optimism? When last July the garbage started piling up in Beirut, one could have been forgiven for thinking that it was a passing glitch that would be quickly resolved. A closer look at the background of the matter, however, would reveal that as with the provision of electricity and water, waste collection and processing crystallised many of the issues that mar infrastructure, government and service provision. 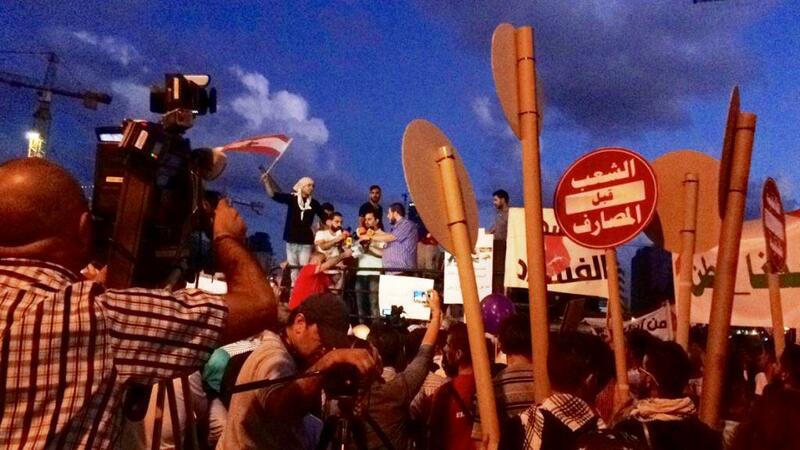 The first mobilisations in late July barely gathered a few hundred protesters as Beirut’s streets were at their worst. It took over a month for the first large demonstration to be assembled and just one day of violence for the media and members of the public to call the campaigns ineffective, infiltrated, or, something worse, “politicised”. Campaign leaders and protesters face a multiplicity of obstacles set by the political leadership and the ambient cynicism of the general public. So it wouldn’t take long for the movement to fragment and for criticism to be waged not at the corruption and political dynasties, but at the protesters. It is a time of too many deaths. Bombings in Baghdad, Beirut, Paris, and Bamako. Drone strikes in Syria, Afghanistan. Closer to my home, the brutal murder of a graduate student by her partner. So much death and violence. It affects all of us, no matter where we live or whatever our ages. The most recent bombing in Beirut, however, made me worry about the young people with whom we are working, many of whom we have grown close to. In this midst of this worry, I checked Facebook: the posts of the (admittedly few) youth with whom I am ‘friends’ and of the organizations with which we work make no mention of the bombings. The posts of the young people are, instead, of an environmental campaign elsewhere, weddings, the enjoyment of life, and the launch of a story map that deals, in part, with memory.